Diabetes is now a global public health problem with over 425 million adults affected by this condition worldwide, according to the International Diabetes Federation . In Singapore, 1 in 3 residents are at a lifetime risk of developing type 2 diabetes and the risk is forecasted to increase to 1 in 2 by the year 2050 . This is a worrying trend that everyone should be concerned with. To prevent and manage diabetes, we should learn to keep optimal blood sugar balance. Eat a healthy diet and leading an active lifestyle and can go a long way to keep one’s blood sugar in check . Feel free to add garlic whenever you like! Garlic is a common spice that has been used as food and medicine for centuries. Although garlic is better known for prevention of heart diseases through lowering blood cholesterol levels, recent research has demonstrated that garlic has a clear hypoglycaemic (i.e. blood sugar lowering) effect . 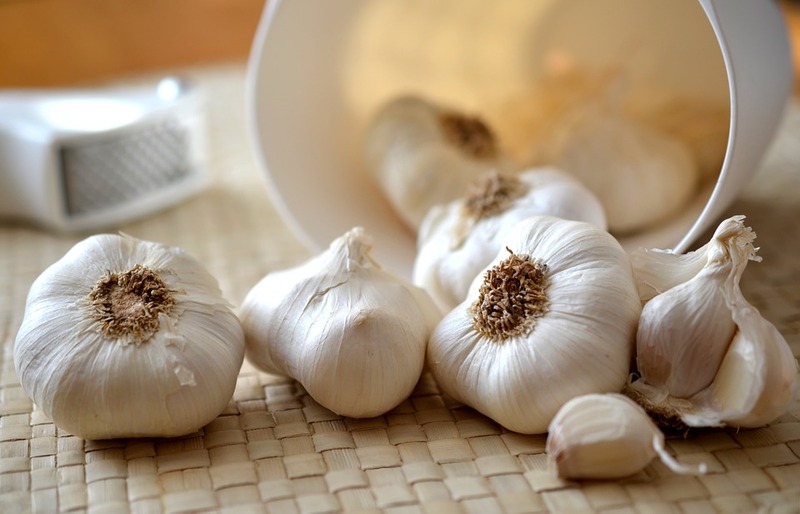 A meta-analysis of seven randomized controlled trials (with 513 subjects) on the effect of garlic intake on human found a significant reduction in fasting blood sugar concentrations as a result of taking garlic . In addition, garlic is a good source of vitamin B-6 (pyridoxine) and C. Pyridoxine is involved in the metabolism of carbohydrates and vitamin C is known to help maintain blood sugar balance . Hence, remember to add a couple of finely chopped garlic cloves to your salads or stir-fry vegetables. There is no standard dosage for eating garlic, feel free to add garlic whenever you like. Bitter gourd is a good addition to any diet for blood sugar balancing. 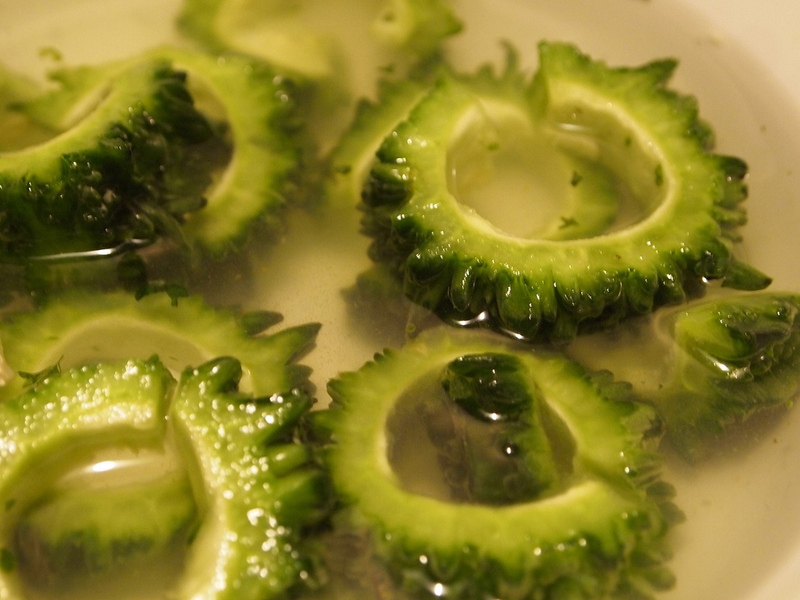 Bitter gourd, also known as bitter melon or karela, is a popular traditional remedy widely used for treating diabetes among many indigenous populations around the world . Studies have shown that bitter gourd contains phytochemical compounds, including Charantin, Polypeptide-p, and Vicine, which are potent substances with antidiabetic properties . Bitter gourd and its active compounds are found to be able lower blood sugar (hypoglycaemic effect), stimulate muscle glucose utilisation, inhibit glucose uptake by the intestines, preserving pancreatic function for insulin secretion . So, bitter gourd is a good addition to any diet for blood sugar balancing. There are many ways to cook bitter gourd, just search the web and you can find a lot of yummy recipes. If you dislike its bitter taste, there are many bitter gourd supplements available in capsule or tablet forms. Try bitter gourd today. 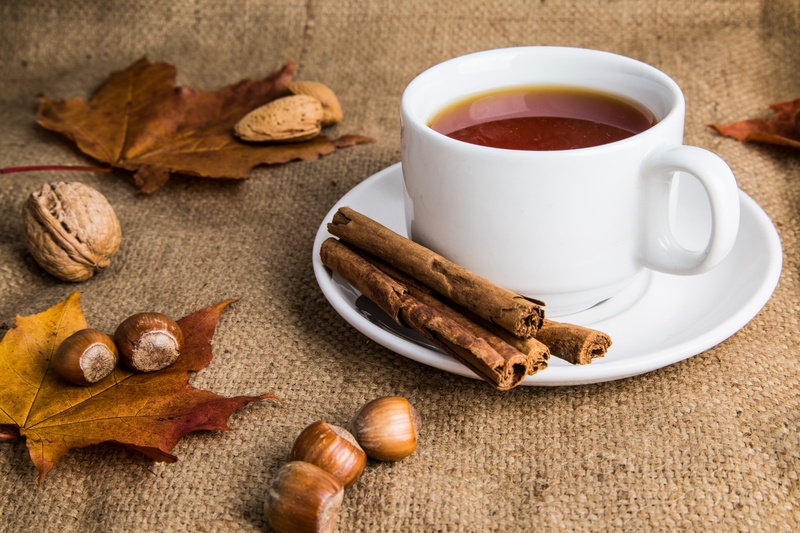 Have a cup of cinnamon tea, it can reduce your risk of diabetes. The use of cinnamon as a spice and medicine can be traced back to 2800BC in ancient China. Historically, cinnamon is a very expensive and highly treasured spice in Western civilization and the quest for cinnamon led to a world exploration in the 15th century . Cinnamon contains active compounds that mimic the actions of insulin in the body which may contribute to its anti-diabetic effect . A meta-analysis of 10 randomized controlled trials (with 543 subjects) found a significant reduction in fasting blood sugar, total cholesterol, LDL, and triglycerides with the intake of cinnamon at 120 mg/d to 6 g/d for 4 to 18 weeks . As such, savoring a few cups of cinnamon teas daily can be a good way to reduce your risk of hyperglycaemia. Traditionally, many parts of the guava tree have been used for medicinal purpose. Guava is a common tropical fruit. Traditionally, many parts of the guava tree have been used for medicinal purpose. For example, pounded young leaves of guava tree is mix with water strained and taken orally to treat diarrhoea by Orang Asli (Indigenous people) in Malaysia . For diabetic patients, guava is a perfect snack with its low glycaemic index and high fibre content . The leaf extract of guava is also known to have anti-hyperglycaemic and anti- hyperlipidemic effects . A recent randomized controlled trial has shown that supplementation of 400g of ripe guava fruit without peel help to reduce blood sugar and blood pressure as well as body mass index in healthy adults compared to taking peeled ripe guava fruit or not taking any guava . 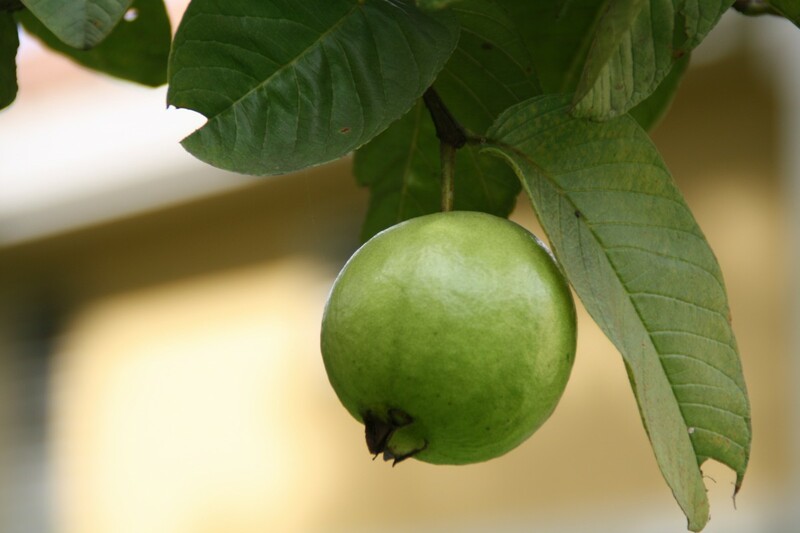 So, take the guava fruit daily, it can help to manage your blood sugar and cholesterols. Tea is one of the world’s most popular beverages. There are many benefits of consuming green tea. Population studies have shown that green tea consumption is associated with reduced mortality from all causes including cardiovascular disease. Human studies have shown that green tea is effective in decreasing blood pressure, low-density lipoprotein cholesterol, oxidative stress, chronic inflammation . In terms of diabetes, a Japanese study has shown that those who consumed six or more cups of green tea daily can reduce the risk of diabetes by 33% compared to those consuming less than 1 cup per week . A Taiwanese study reported that those who habitually consumed tea for more than 10 years showed a lower body fat composition and smaller waist circumference compared those who did not . Hence, consuming green tea is also a great strategy to lose weight and prevent diabetes. 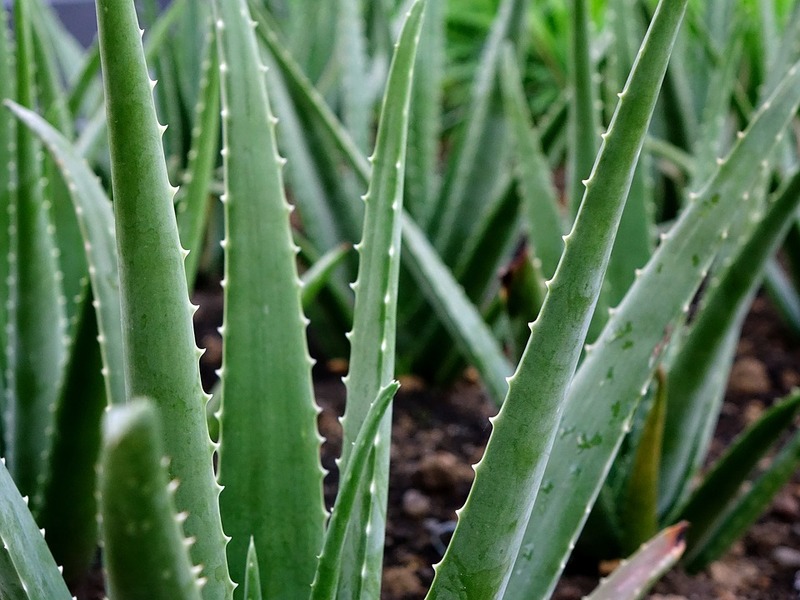 Aloe Vera is another plant that has long been used in folk medicine for diabetes. This plant contains includes 75 active components that include vitamins, enzymes, minerals, sugars, Lignin, salicylic acid, and amino acid. It has antioxidant, anticancer, anti-inflammatory, laxative, anti-atherosclerosis properties . A systematic review of 8 studies with 235 prediabetes and 235 type 2 diabetes patients found Aloe Vera to significantly improve fasting blood sugar as well as HbA1c, an important marker for diabetes-related complications, in prediabetic patients . Aloe Vera can be eaten raw, juiced for beverage, added into smoothies, salsa, salad, and dessert. It is also easy to grow. So, keep a few Aloe Vera plants at home, consume them regularly. 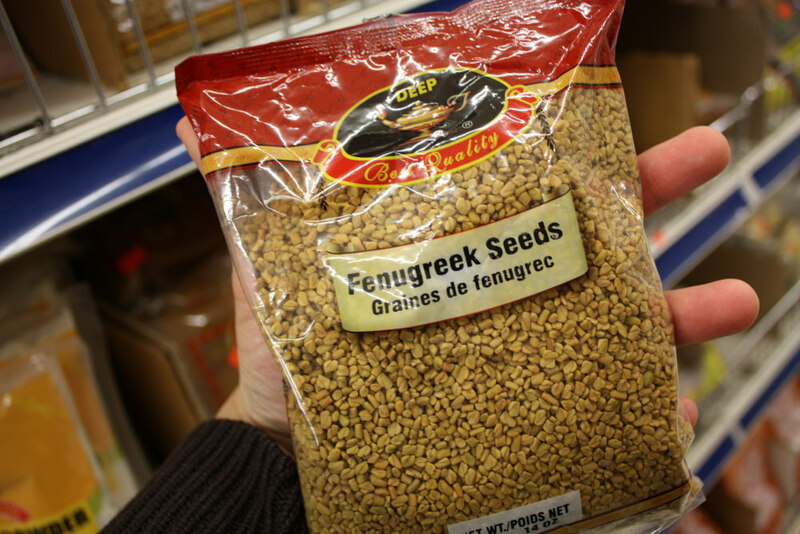 Fenugreek seeds can be found in many supermarkets and Indian grocery stores. Fenugreek has been used as a herb, spice, and vegetables for centuries by people in South Asia. Research on fenugreek has identified its therapeutic effects to include calming the nervous system, stimulating digestion, lowering blood sugar and cholesterols, protecting the liver, as well as promoting milk production in lactating mothers . A meta-analysis of 10 clinical trials shows that fenugreek significantly lower fasting blood sugar and HbA1c, as compared with other control interventions . The easiest way to consume fenugreek is to soak a teaspoon of fenugreek seeds in water and consume it first thing in the morning, it can help to maintain your blood sugar balance throughout the day. You can also add fenugreek seeds to your smoothies, curries, or soup as in Indian lentil soup. IDF diabetes atlas – Home, (n.d.). http://www.diabetesatlas.org/ (accessed February 27, 2018). T.P. Phan, L. Alkema, E.S. Tai, K.H.X. Tan, Q. Yang, W.-Y. Lim, Y.Y. Teo, C.-Y. Cheng, X. Wang, T.Y. Wong, K.S. Chia, A.R. Cook, Forecasting the burden of type 2 diabetes in Singapore using a demographic epidemiological model of Singapore, BMJ Open Diabetes Res. Care. 2 (2014) e000012. doi:10.1136/bmjdrc-2013-000012. M. Asif, The prevention and control the type-2 diabetes by changing lifestyle and dietary pattern, J. Educ. Health Promot. 3 (2014) 1. doi:10.4103/2277-9531.127541. L. Bayan, P.H. Koulivand, A. Gorji, Garlic: a review of potential therapeutic effects., Avicenna J. Phytomedicine. 4 (2014) 1–14. http://www.ncbi.nlm.nih.gov/pubmed/25050296 (accessed February 27, 2018). L. Hou, Y. Liu, Y. Zhang, Garlic intake lowers fasting blood glucose: meta-analysis of randomized controlled trials., Asia Pac. J. Clin. Nutr. 24 (2015) 575–82. http://www.ncbi.nlm.nih.gov/pubmed/26693740 (accessed February 27, 2018). Garlic and Diabetes: Is It Safe?, (n.d.). https://www.healthline.com/health/diabetes/garlic-and-diabetes (accessed February 27, 2018). B. Joseph, D. Jini, Antidiabetic effects of Momordica charantia (bitter melon) and its medicinal potency, Asian Pacific J. Trop. Dis. 3 (2013) 93–102. doi:10.1016/S2222-1808(13)60052-3. P. Kawatra, R. Rajagopalan, Cinnamon: Mystic powers of a minute ingredient., Pharmacognosy Res. 7 (2015) S1-6. doi:10.4103/0974-8490.157990. B. Qin, K.S. Panickar, R.A. Anderson, Cinnamon: potential role in the prevention of insulin resistance, metabolic syndrome, and type 2 diabetes., J. Diabetes Sci. Technol. 4 (2010) 685–93. doi:10.1177/193229681000400324. R.W. Allen, E. Schwartzman, W.L. Baker, C.I. Coleman, O.J. Phung, Cinnamon Use in Type 2 Diabetes: An Updated Systematic Review and Meta-Analysis, Ann. Fam. Med. 11 (2013) 452–459. doi:10.1370/afm.1517. H.C. Ong, A.W. Faezah, P. Milow, Medicinal plants used by the Jah Hut Orang Asli at Kampung Pos Penderas, Pahang, Malaysia, Stud. Ethno-Medicine. 6 (2012) 11–15. T.U. Passos, H.A. de C. Sampaio, M.O.D. Sabry, M.L.P. de Melo, M.A.M. Coelho, J.W. de O. Lima, Glycemic index and glycemic load of tropical fruits and the potential risk for chronic diseases, Food Sci. Technol. 35 (2015) 66–73. doi:10.1590/1678-457X.6449. Y. Deguchi, K. Miyazaki, Anti-hyperglycemic and anti-hyperlipidemic effects of guava leaf extract., Nutr. Metab. (Lond). 7 (2010) 9. doi:10.1186/1743-7075-7-9. S. Kumari, R. Rakavi, M. Mangaraj, Effect of Guava in Blood Glucose and Lipid Profile in Healthy Human Subjects: A Randomized Controlled Study., J. Clin. Diagn. Res. 10 (2016) BC04-BC07. doi:10.7860/JCDR/2016/21291.8425. H.M. Kim, J. Kim, The effects of green tea on obesity and type 2 diabetes., Diabetes Metab. J. 37 (2013) 173–5. doi:10.4093/dmj.2013.37.3.173. 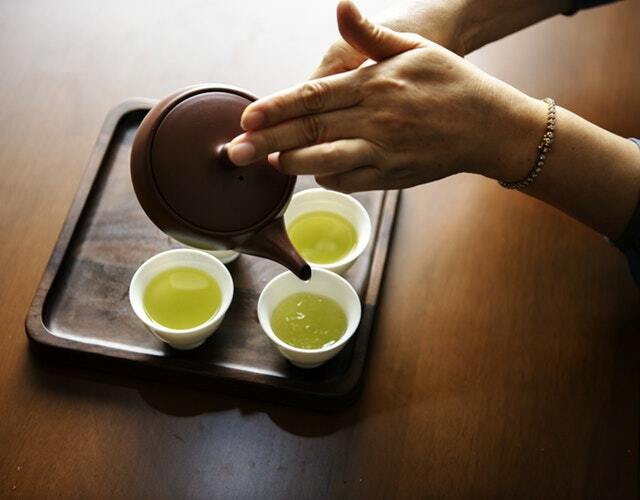 H. Iso, C. Date, K. Wakai, M. Fukui, A. Tamakoshi, JACC Study Group, The relationship between green tea and total caffeine intake and risk for self-reported type 2 diabetes among Japanese adults., Ann. Intern. Med. 144 (2006) 554–62. http://www.ncbi.nlm.nih.gov/pubmed/16618952 (accessed February 28, 2018). C.-H. Wu, F.-H. Lu, C.-S. Chang, T.-C. Chang, R.-H. Wang, C.-J. Chang, Relationship among Habitual Tea Consumption, Percent Body Fat, and Body Fat Distribution, Obes. Res. 11 (2003) 1088–1095. doi:10.1038/oby.2003.149. S. Alinejad-Mofrad, M. Foadoddini, S.A. Saadatjoo, M. Shayesteh, Improvement of glucose and lipid profile status with Aloe vera in pre-diabetic subjects: a randomized controlled-trial., J. Diabetes Metab. Disord. 14 (2015) 22. doi:10.1186/s40200-015-0137-2. N. Suksomboon, N. Poolsup, S. Punthanitisarn, Effect of Aloe vera on glycaemic control in prediabetes and type 2 diabetes: a systematic review and meta-analysis, J. Clin. Pharm. Ther. 41 (2016) 180–188. doi:10.1111/jcpt.12382. U.C.S. Yadav, N.Z. Baquer, Pharmacological effects of Trigonella foenum-graecum L. in health and disease, Pharm. Biol. 52 (2014) 243–254. doi:10.3109/13880209.2013.826247.